[S69] 1940 United States Federal Census, online , Year: 1940; Census Place: Montezuma, Cayuga, New York; Roll: T627_2508; Page: 9A; Enumeration District: 6-57. Vera Mae Chapman John Chapman Myrtle Viola Hugunin? [S26] 1900 United States Federal Census, online , Year: 1900; Census Place: Montezuma, Cayuga, New York; Roll: 1013; Page: 5A; Enumeration District: 0034; FHL microfilm: 1241013. [S66] 1925 New York, State Census, online , New York State Archives; Albany, New York; State Population Census Schedules, 1925; Election District: 01; Assembly District: 01; City: Mentz; County: Cayuga; Page: 1. [S6] Ancestry.com, 1850 United States Federal Census (n.p. : Online publication - Provo, UT, USA: Ancestry.com Operations, Inc., 2009. Images reproduced by FamilySearch.Original data - Seventh Census of the United States, 1850; (National Archives Microfilm Publication M432, 1009 rolls); Records of the Bureau of the, unknown publish date), Year: 1850; Census Place: Sempronius, Cayuga, New York; Roll: M432_483; Page: 51A; Image: . [S26] 1900 United States Federal Census, online , Year: 1900; Census Place: Romulus, Seneca, New York; Roll: T623_1162; Page: 8B; Enumeration District: 102; FHL microfilm: 1241162. [S555] Elliott G Storke, History of Cayuga County, New York : with illustrations and biographical sketches of some of its prominent men and pioneers (n.p. : n.pub., unknown publish date), pg xi: Montezuma: Bush, Robert H. b. Otsego Co. 1831 s 1840. [S84] The Port Byron Chronicle, Port Byron, NY, Feb 11, 1909 Sunday, February 7 Robert H. Bush, an age dand esteemed resident of. this town died at Willard aged 79 years. . ' He is survived by a daughter, Mrs. A.W. Beach, grandchildren and a large circle of relatives and friends who cherish the memory of a good man, a loving father. Funeral services; were held at Mentz church Wednesday afternoon. Rev, T. W Havens oflieiated. [S6] Ancestry.com, 1850 United States Federal Census (n.p. : Online publication - Provo, UT, USA: Ancestry.com Operations, Inc., 2009. Images reproduced by FamilySearch.Original data - Seventh Census of the United States, 1850; (National Archives Microfilm Publication M432, 1009 rolls); Records of the Bureau of the, unknown publish date), Year: 1850; Census Place: Taghkanic, Columbia, New York; Roll: M432_491; Page: 71B; Image: . [S44] Town of Montezuma Records, online http://web.archive.org/web/20020215005729/http://…, (Waybackmachine), Bush, Sarah M. Aug 18, 1907 68-11-10 Columbia Co. Abraham Bush Mana Nihole. Find A Grave Memorial# 86418243. Find A Grave Memorial# 86418575. [S65] 1920 United States Federal Census, online , Year: 1920; Census Place: Montezuma, Cayuga, New York; Roll: T625_1090; Page: 7B; Enumeration District: 38; Image: . [S26] 1900 United States Federal Census, online , Year: 1900; Census Place: Montezuma, Cayuga, New York; Roll: T623_1013; Page: 2A; Enumeration District: 34. [S6] Ancestry.com, 1850 United States Federal Census (n.p. : Online publication - Provo, UT, USA: Ancestry.com Operations, Inc., 2009. Images reproduced by FamilySearch.Original data - Seventh Census of the United States, 1850; (National Archives Microfilm Publication M432, 1009 rolls); Records of the Bureau of the, unknown publish date), Year: 1850; Census Place: Auburn Ward 3, Cayuga, New York; Roll: M432_482; Page: 274B; Image: . [S9] Ancestry.com, 1860 United States Federal Census (n.p. : Online publication - Provo, UT, USA: Ancestry.com Operations, Inc., 2009. Images reproduced by FamilySearch.Original data - 1860 U.S. census, population schedule. NARA microfilm publication M653, 1,438 rolls. Washington, D.C.: National Archives and Records, unknown publish date), Year: 1860; Census Place: Throop, Cayuga, New York; Roll: ; Page: 65; Image: 579. [S9] Ancestry.com, 1860 United States Federal Census (n.p. : Online publication - Provo, UT, USA: Ancestry.com Operations, Inc., 2009. Images reproduced by FamilySearch.Original data - 1860 U.S. census, population schedule. NARA microfilm publication M653, 1,438 rolls. 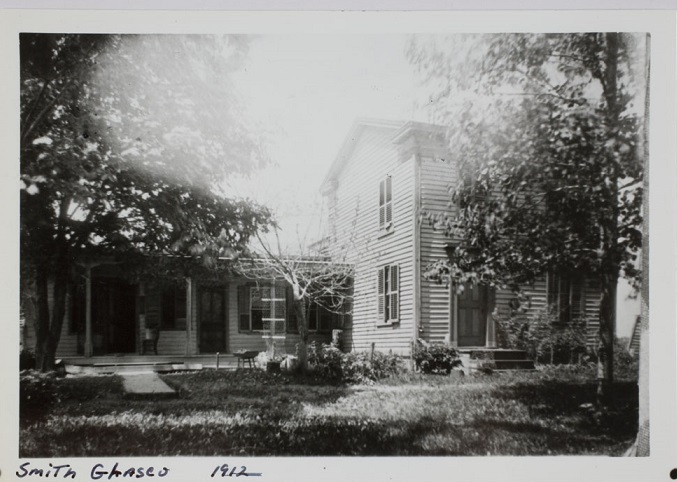 Washington, D.C.: National Archives and Records, unknown publish date), Year: 1860; Census Place: Mentz, Cayuga, New York; Roll: ; Page: 793; Image: 316. [S96] Cayuga Chief (Weedsport, New York:, Mar 8 1849: In this city, Eliza Glasgow, wife of R. Glasgow and daughter of Samuel Gilmore, Mentz, of dropsy, Feb 7, 1849, in the 40th year of age. [S44] Town of Montezuma Records, online http://web.archive.org/web/20020215005729/http://…, (Waybackmachine), Glasgow, Eleanor M Apr 21, 1847 Jan 19, 1921 73 Owasco NY John Adams Mary Ann Wardell. [S1] 1870 United States Federal Census, online , Year: 1870; Census Place: Owasco, Cayuga, New York; Roll: M593_; Page: ; Image: . [S80] Ancestry.com, Biographical review : this volume contains biographical sketches of the leading citizens of Cayuga County, New York. (n.p. : Online publication - Provo, UT: The Generations Network, Inc., 2005.Original data - Biographical review : this volume contains biographical sketches of the leading citizens of Cayuga County, New York.. Boston: Biographical Review Pub. Co., 1894.Original da, unknown publish date), p 248. [S44] Town of Montezuma Records, online http://web.archive.org/web/20020215005729/http://…, (Waybackmachine), Glasgow, Robert Feb 20, 1900 90-8-26 Scotland Glasgow Eliza. [S96] Cayuga Chief (Weedsport, New York:, In this city on the 28th ult by Rev. W. Hall Perue, Mr. Robert Glasgow to Miss Sarah Bradley both of this city. [S61] 1930 United States Federal Census, online , Year: 1930; Census Place: Auburn, Cayuga, New York; Roll: 1411; Page: 11B; Enumeration District: 20; Image: 491.0; FHL microfilm: 2341146. [S11] 1910 United States Federal Census, online , Year: 1910; Census Place: Auburn Ward 9, Cayuga, New York; Roll: T624_928; Page: 13B; Enumeration District: 0025; Image: 638; FHL microfilm: 1374941. [S65] 1920 United States Federal Census, online , Year: 1920; Census Place: Auburn Ward 9, Cayuga, New York; Roll: T625_1089; Page: 1A; Enumeration District: 17; Image: 626. Estella E. Glasgow Montezuma 20 Montezuma Smith Glasgow Eleanor Adams Geo. Britten. [S88] Ontario, Canada) Ancestry.com and Genealogical Research Library (Brampton, Ontario, Canada Marriages, 1801-1928 (n.p. : Online publication - Provo, UT, USA: Ancestry.com Operations, Inc., 2010.Original data - Ontario, Canada. Registrations of Marriages, 1869-1928. MS932, Reels 1-833, 850-880. Archives of Ontario, Toronto.Ontario, Canada. Marriage License Books, 1907-1910. M, unknown publish date). [S65] 1920 United States Federal Census, online , Year: 1920; Census Place: Montezuma, Cayuga, New York; Roll: T625_1090; Page: B; Enumeration District: 38; Image: . State (Year) SSN issued: New York (1963). State (Year) SSN issued: New York (1951). [S61] 1930 United States Federal Census, online , Year: 1930; Census Place: Auburn, Cayuga, New York; Roll: 1411; Page: 11B; Enumeration District: 22; Image: 549.0. Mary Ann (?) married John Adams.